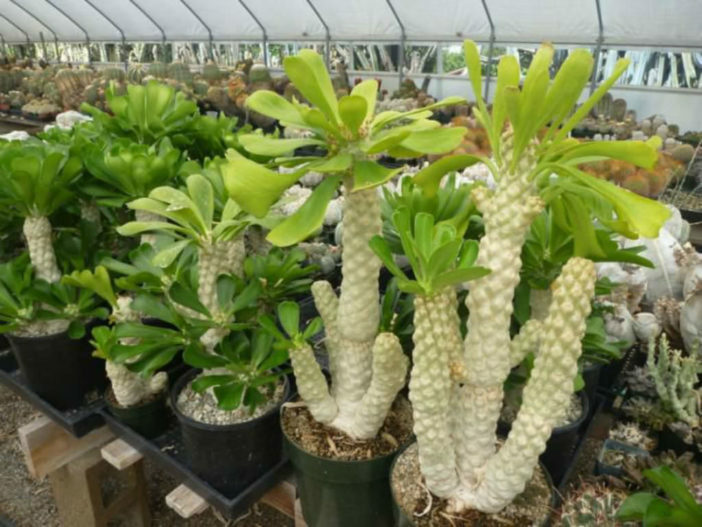 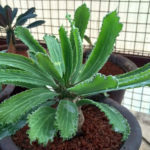 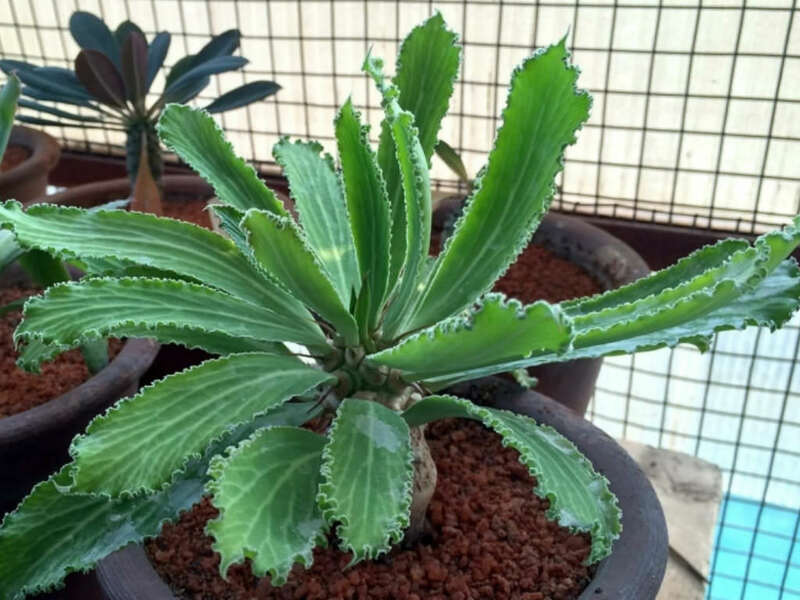 Euphorbia venenifica is a stout, erect, succulent bush up to 16.4 feet (5 m) tall, branching from a short thick stem into a few or several cylindrical main stems, topped with large, prominently veined leaves during the growing season, occasionally sub-spiny. 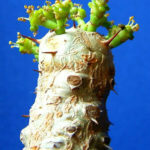 The stems occasionally rebranches loosely in an irregular manner. 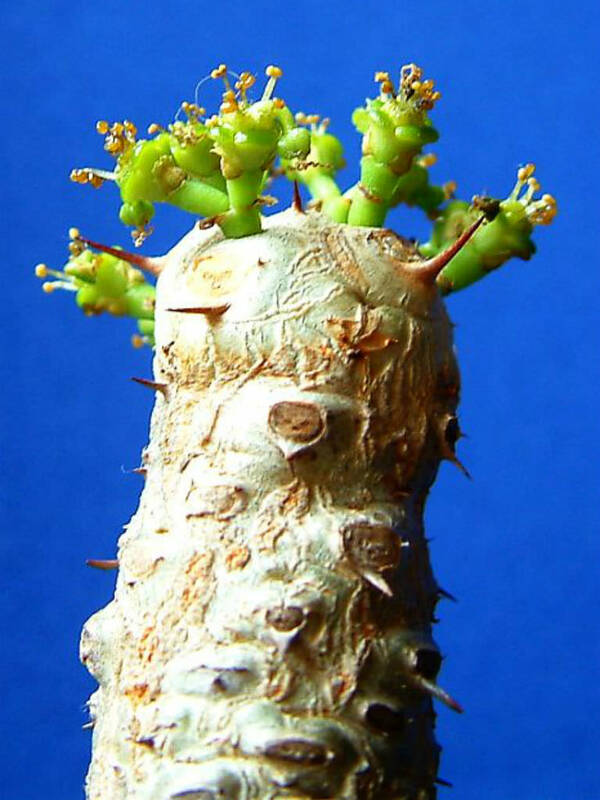 It produces small, lime yellow-green flowers in spring. 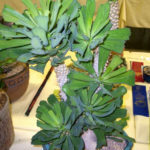 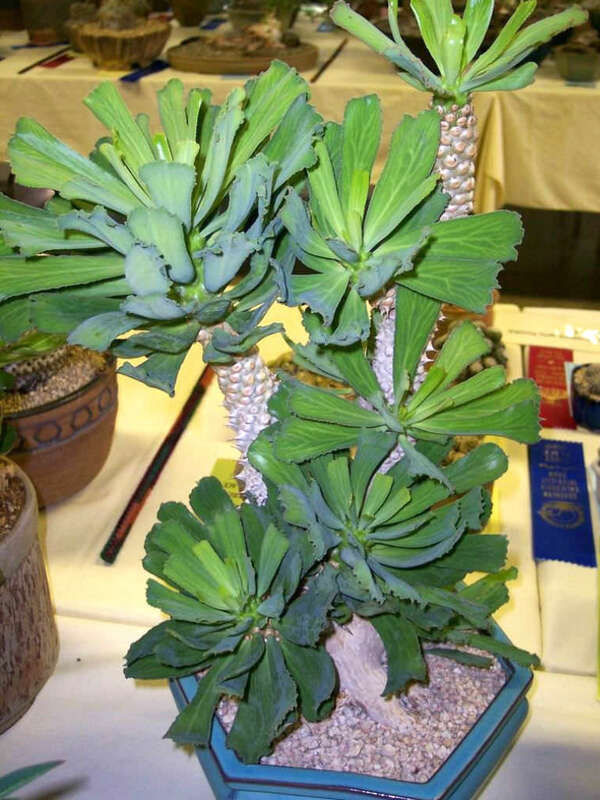 Euphorbia venenifica is native to Chad, Sudan, Ethiopia and Egypt.